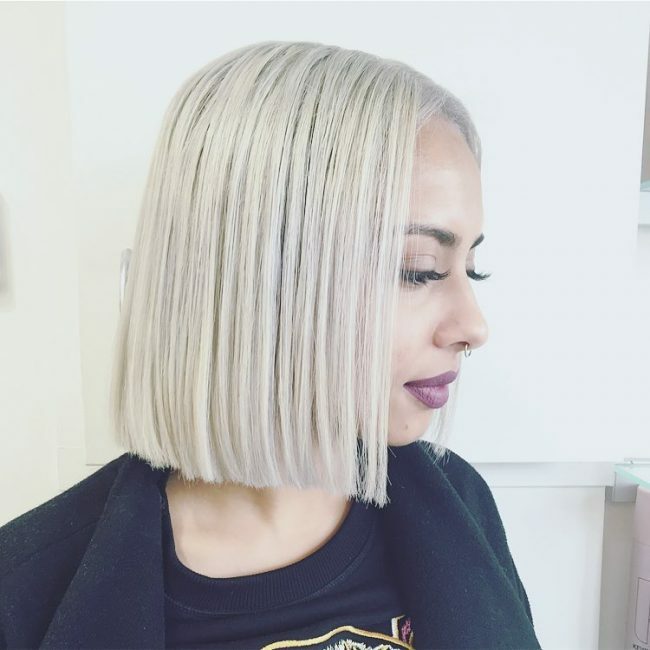 The demand for white blonde hair has been on a steady increase for a couple of years now as more and more ladies get the courage to go paler than usual. This shade of blonde is different from others in many ways but its most distinguishing factor is its lightness, and this is what gives it a whitish look. Although it is more popular with ladies that have a light complexion, it can still work for any other woman who knows how to create it. And so whether you want to upgrade your looks or simply want a hue that will make you stand out this color is perfect for you. 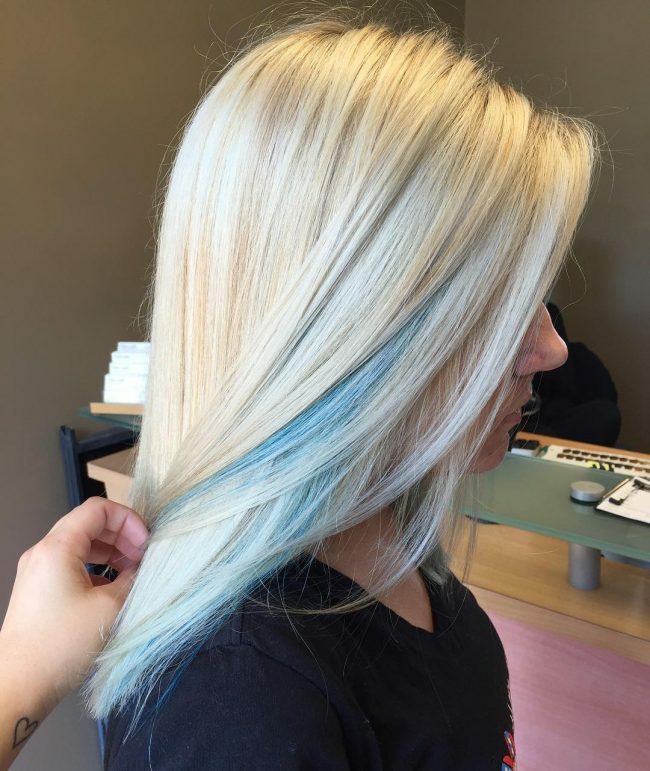 The gallery below showcases 30 different ways that you can rock this amazing shade. 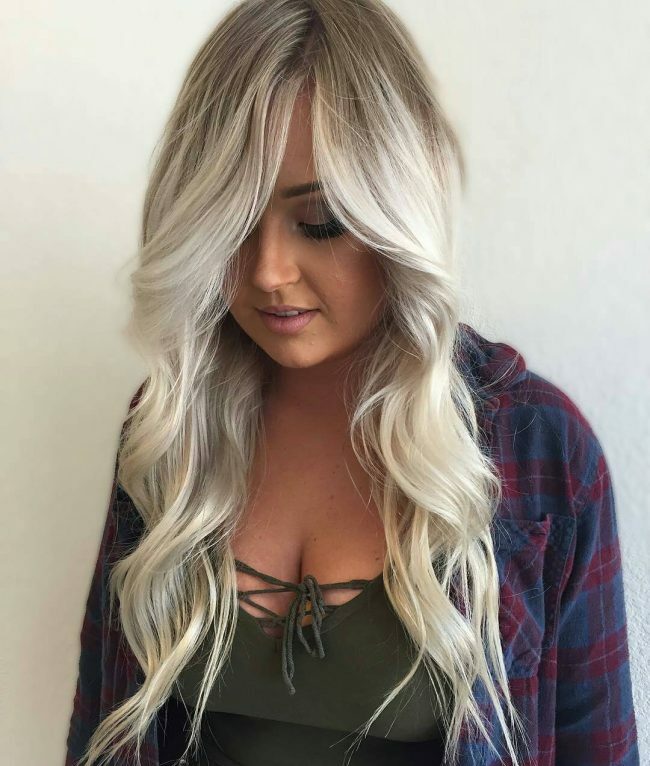 The hint of silver in this hairdo makes a huge difference, and if you can get it right, you will always be confident of a top notch color design. This lovely shade is a product of creative color combination, and you can only achieve it through balayage and bleaching. The long bob is also excellent, and you only need a center part and to push the wavy locks into a face frame to finish the headdress. Platinum blonde is a shade for a woman who wants to feel and look classy. Whether you bleach or dye your hair to achieve it, you will need to get the formula right because it is a very distinct shade that is not always easy to create. And if you also give it some subtle light brown streaks like in this design and a simple braided half updo you will look majestic. You can only achieve this amazing color through creative color combination using balayage. The design starts by chopping the strands into a short pixie cut. You should then bleach the pixie to get the white blonde shade and then introduce the pink hue on the roots to create a fabulous contrast. These beach waves have an amazing texture and a lovely V-shape cut that make them look exquisite. However, the color is still the highlight of the headdress, and it entails introducing platinum blonde to the honey brown base and then making the color brighter towards the ends to create a beautiful, sombre pattern. 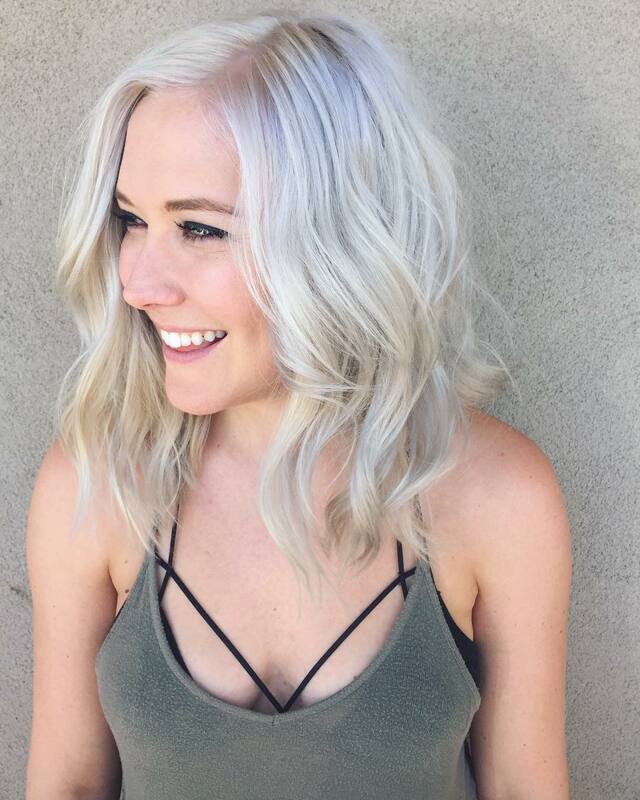 The uniform icy shade in this hairdo is a product of excellent bleach out. 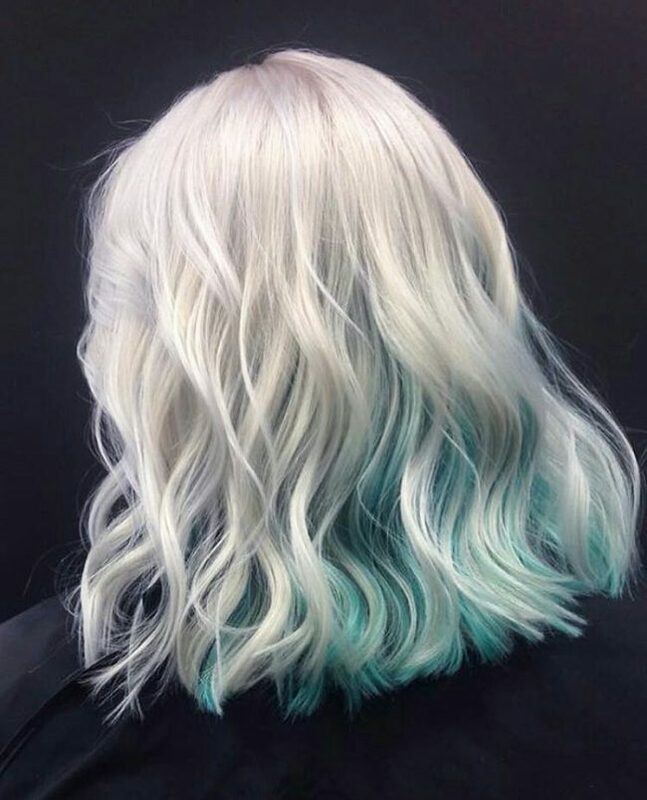 Bleaching hair is not always easy, and this is more so if you want your shade to look as uniform as this, and so a good idea would be to use the services of a professional. Apart from the color the strands also have a lovely long bob haircut and a cute face frame styling. If you can make your strands dazzle like these, you can be confident of a look that will turn heads everywhere you go. Although the white blonde shade is the most dominant in this style the roots have a dark ashy tone that helps to create an amazing ombre contrast and all that you need to do is to form a center part and sweep back your locks to finish the look. 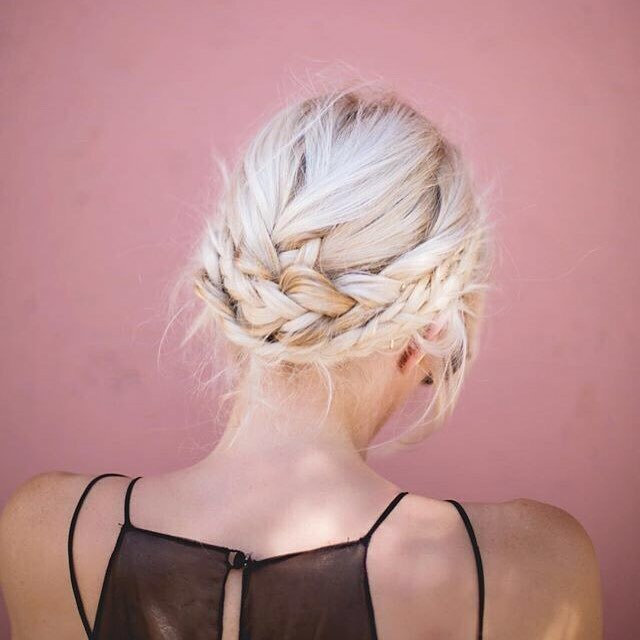 When your blonde hairdo is as white as this one, you can always be sure of a unique hairstyle. 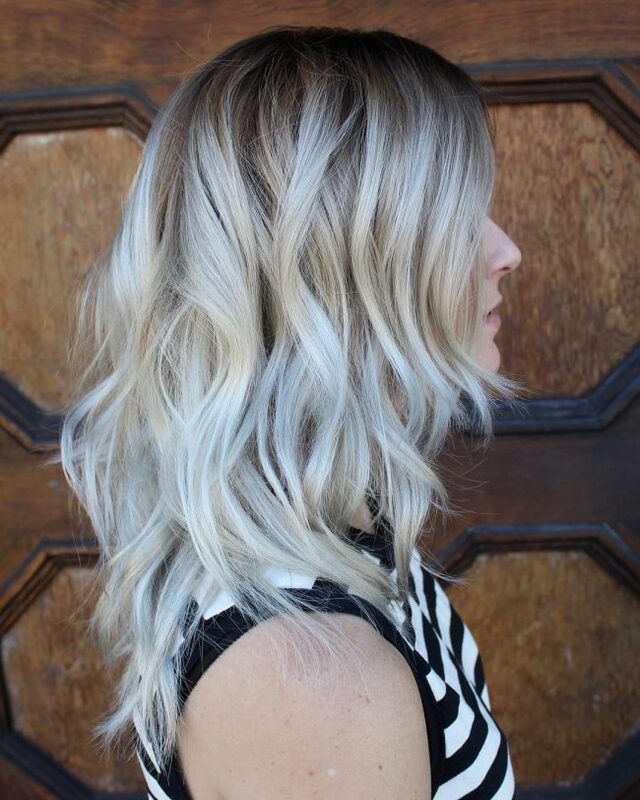 This hue is a product of skillful bleaching, but it also requires you to color the roots with a dark shade for some contrast. The blunt cut is also fantastic, and it adds some elegance to the hairdo. You cannot overlook the importance of having a good haircut even if you have a fantastic shade. This white blonde hair has a lovely tone that is also a result of bleaching, but the short spiky haircut with a tapered undercut also adds to the beauty of the headdress by making the color appear more detailed. 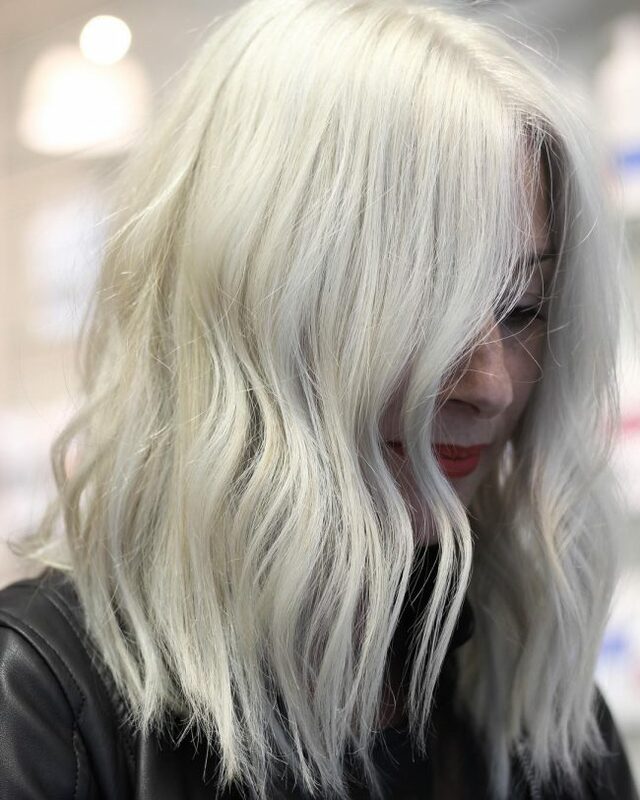 This icy hue is an extra light ash blonde shade that looks very natural. In fact, some ladies are lucky to have it as their original hair color. However, anyone can get it through balayage and bleaching, but it looks best one a long hair. The simple crown braid updo style also adds some detail to the shade and helps to enhance the overall appearance. 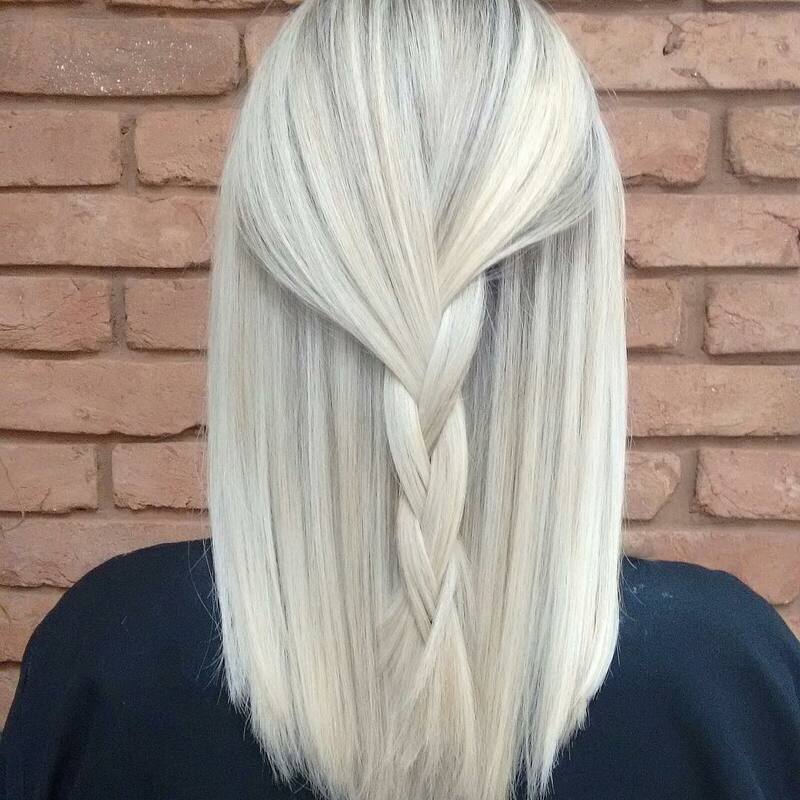 To create this lovely hairdo, you will first need to bleach tone the roots to create an ice blonde shade. The next step is to lighten the rest of the hair subtly to give it the whitish appearance. 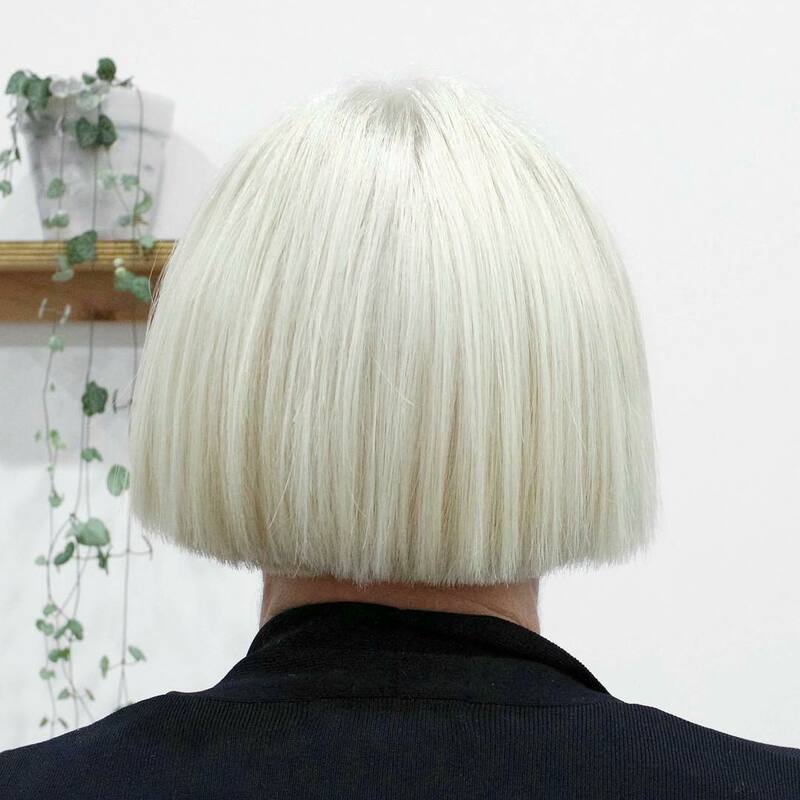 You also need a precise blunt bob haircut as it will make the colors look extra funky. 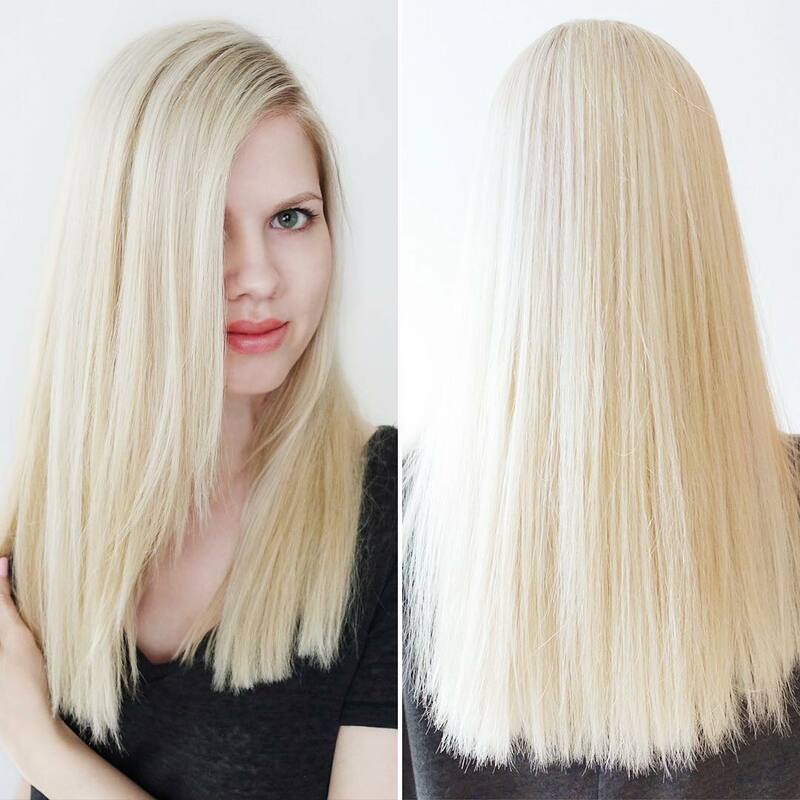 Blonde hair does not get whiter than this and if you can bleach your strands to a level like this you can be confident of always being the center of attraction. The color is uniform throughout and this makes it easier to achieve and so the only other thing that you need is to chop the ends to make them blunt. You do not have to bleach all your strands to get white blonde hair because there are many other ways of wearing this amazing shade. This design entails hand painting the bright shade on a dark brown hair in an ombre pattern to create a stunning hairstyle. The locks also have some beautiful waves and texture that help to enhance the design. 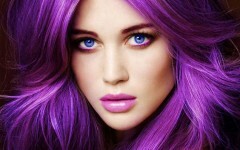 Some colors like this one may look hard to achieve, and so most ladies will tend to shy away from trying them. 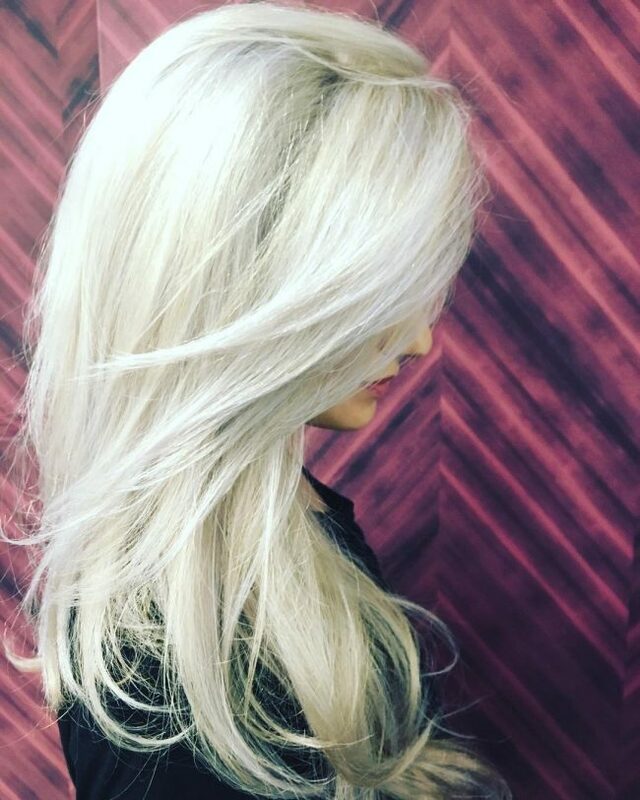 However, this lovely shade will only require you to bleach your locks inventively while leaving the roots dark for some contrast. And if you style with slight layering and into a face frame design you will look exquisite. The colors in this long straight hair make it look very classy and trendy, and they are also easier to achieve than they look. 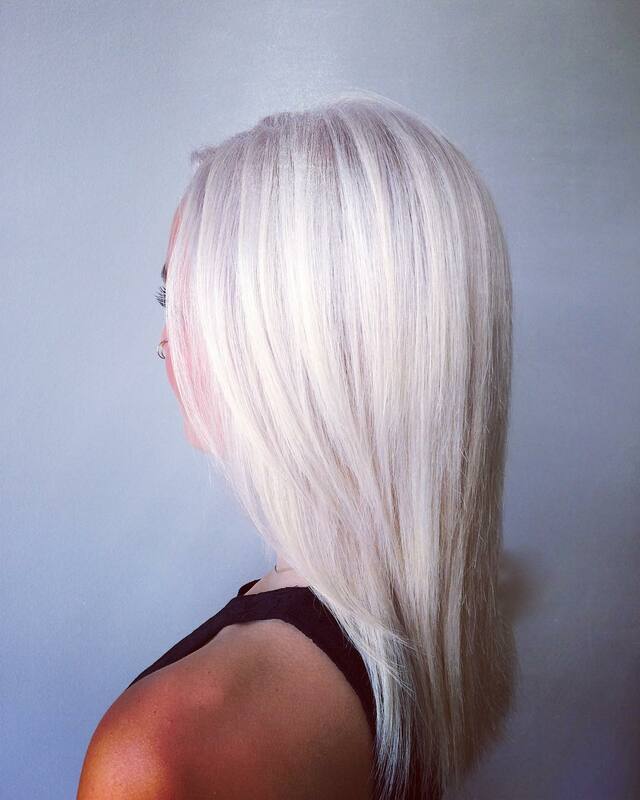 Platinum blonde is the most dominant shade, and you can create it through bleaching. 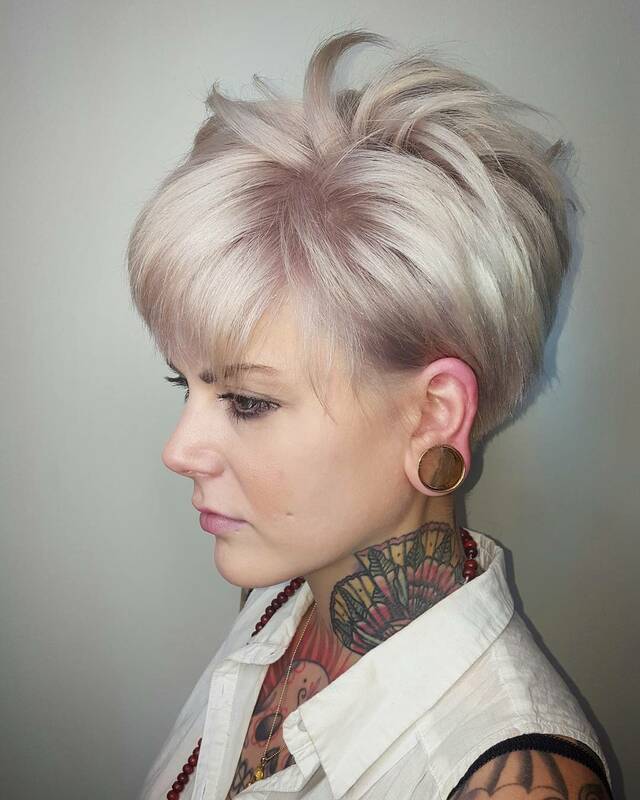 Apart from this you only need to hand-paint a hint of baby pink on the platinum to finish the elegant hairdo. 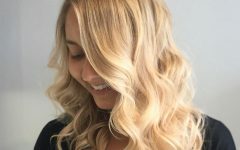 Blonde is as versatile as any other color, and so you can have it in unlimited ways. In this particular design, it has an icy platinum shade, but it looks distinct because it blends with a light brown shade to create a unique tone. The roots also have the brown shade, and you should style with a side part and by pushing the straight strands sideways. This sun-kissed hair is what you get when you want to take your natural brunette shade to blonde. 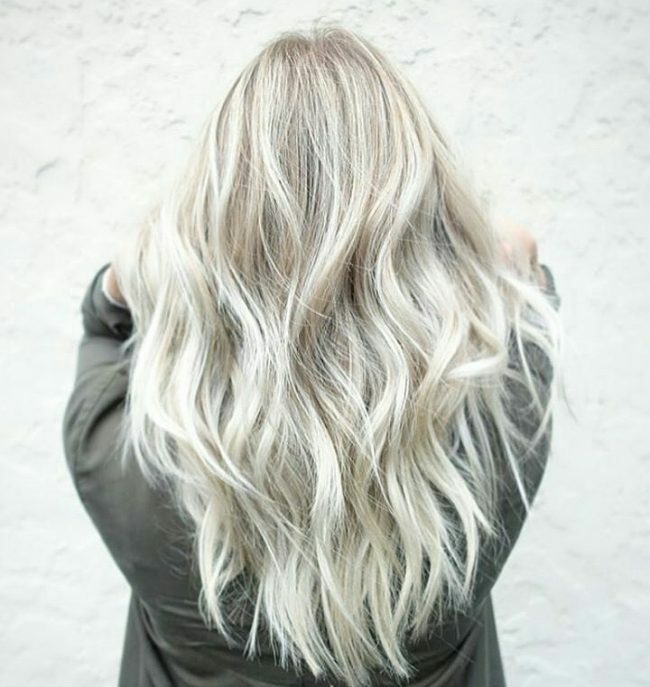 To create this lovely hair color, you should bleach the ends of your textured brunette locks to create a stylish ombre pattern. These locks also have some beautiful waves and a nice face frame that also spice up the look. 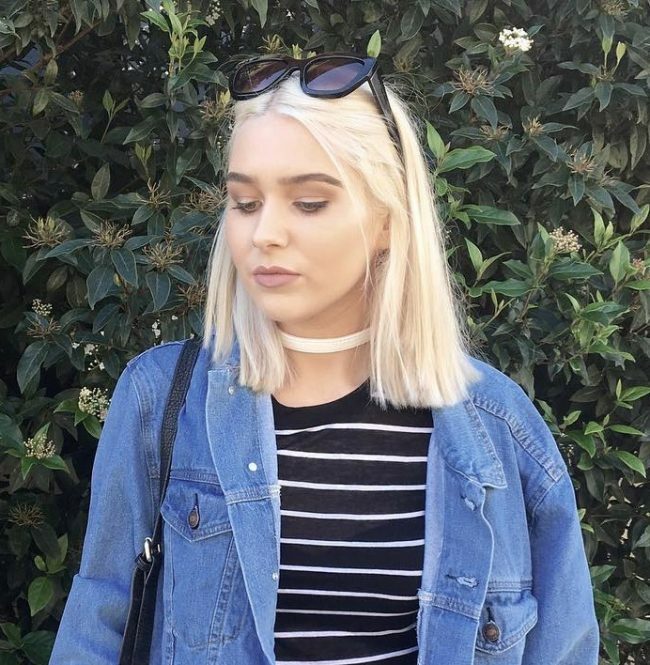 Most people will have a hard time trying to figure out what makes this white blonde hair looks unique. 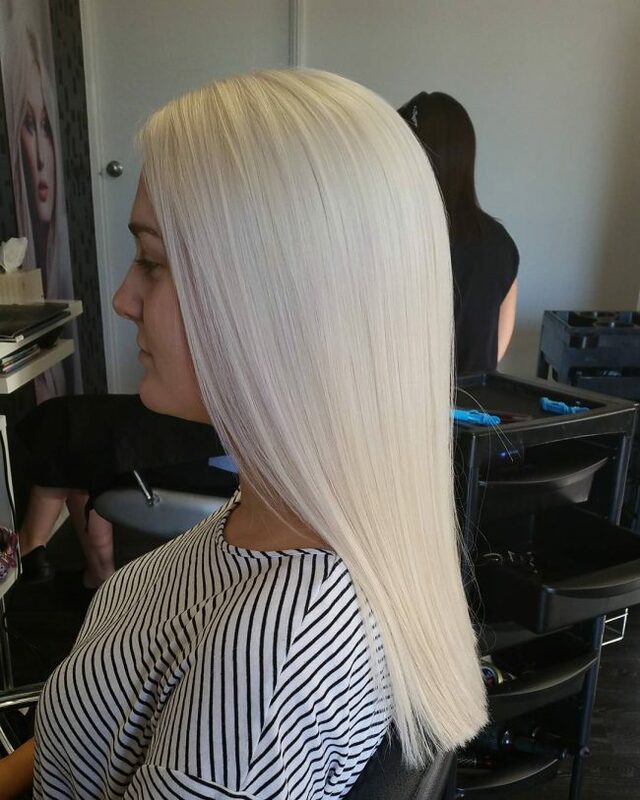 These straight locks do not look the regular white blonde design, and this is because apart from bleaching them they also have a subtle hint of brown that blends with the blonde to create a fantastic color melt. 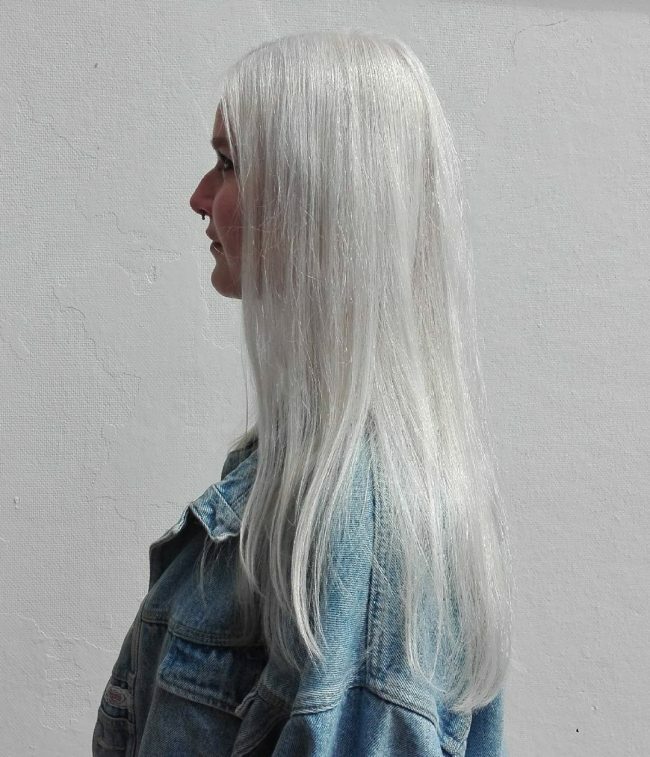 Giving your strands an icy blonde shade is not difficult because you only need to know how to bleach it. 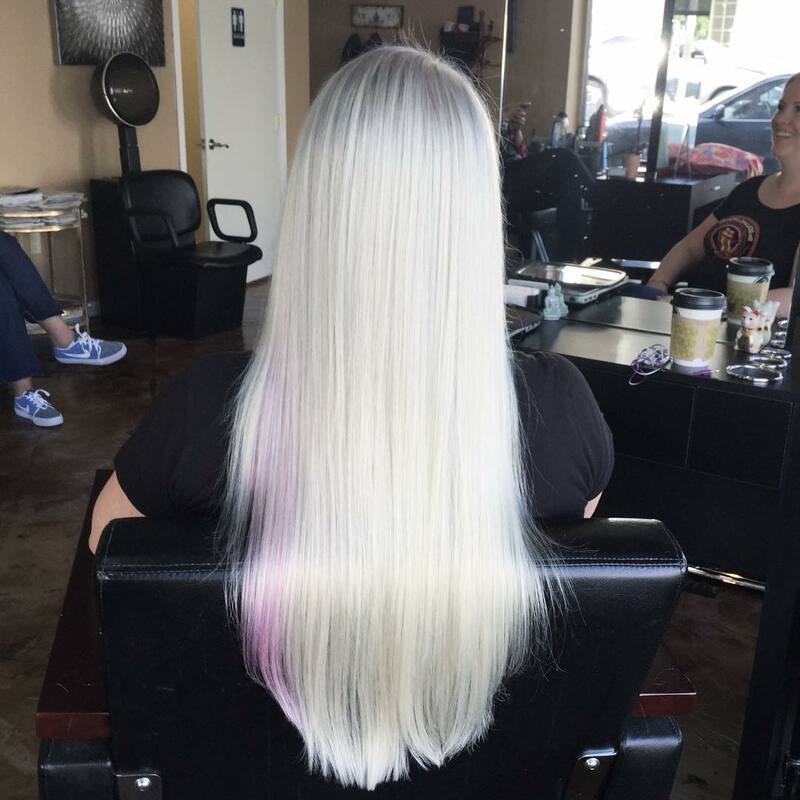 However, if you want it to look unique you should also add a hint of another color and in this design, the purple toner does all the magic. The straightness of the hair and its subtle layers are the other things that make this a top notch design. 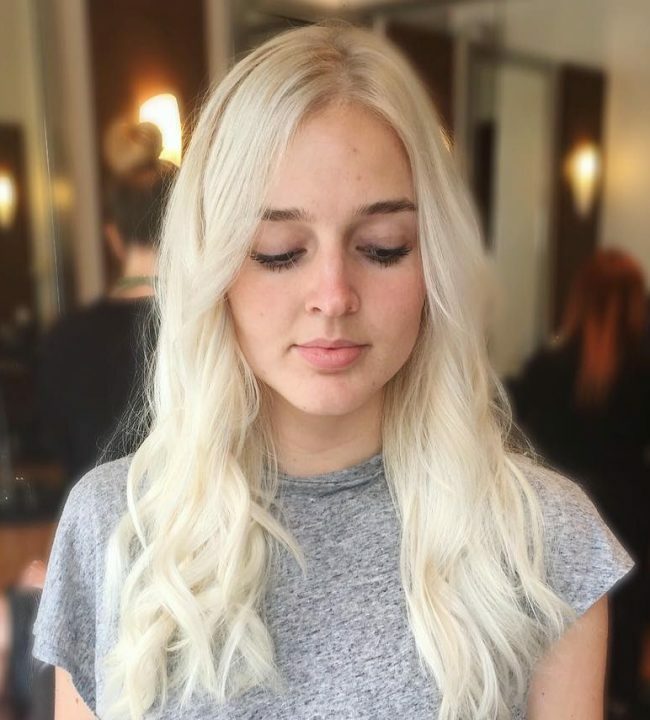 This hair color looks very natural, and some ladies are lucky enough to have hair that looks like this without any coloring. 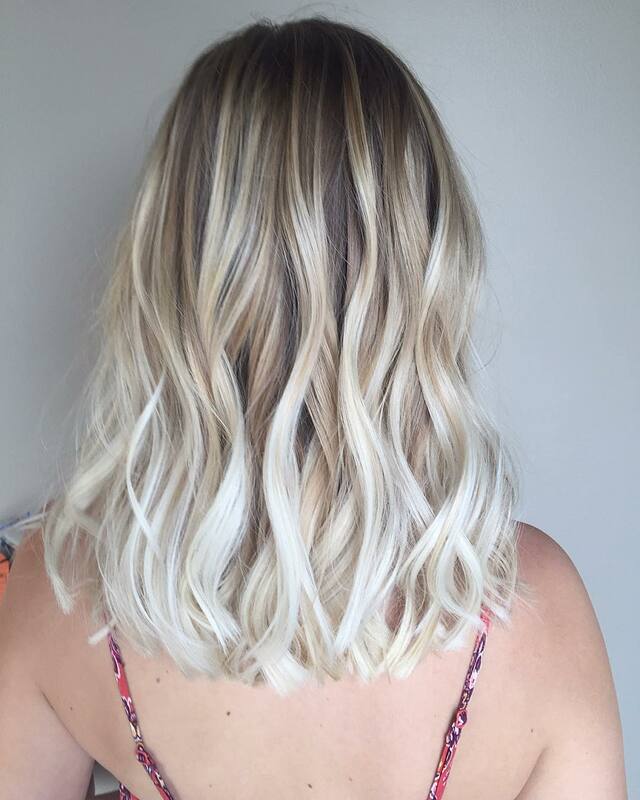 However, this ice blonde shade is still very achievable through balayage but with the right color combinations. The trim and the tousled waves are also an added advantage as they add to the beauty of the design. 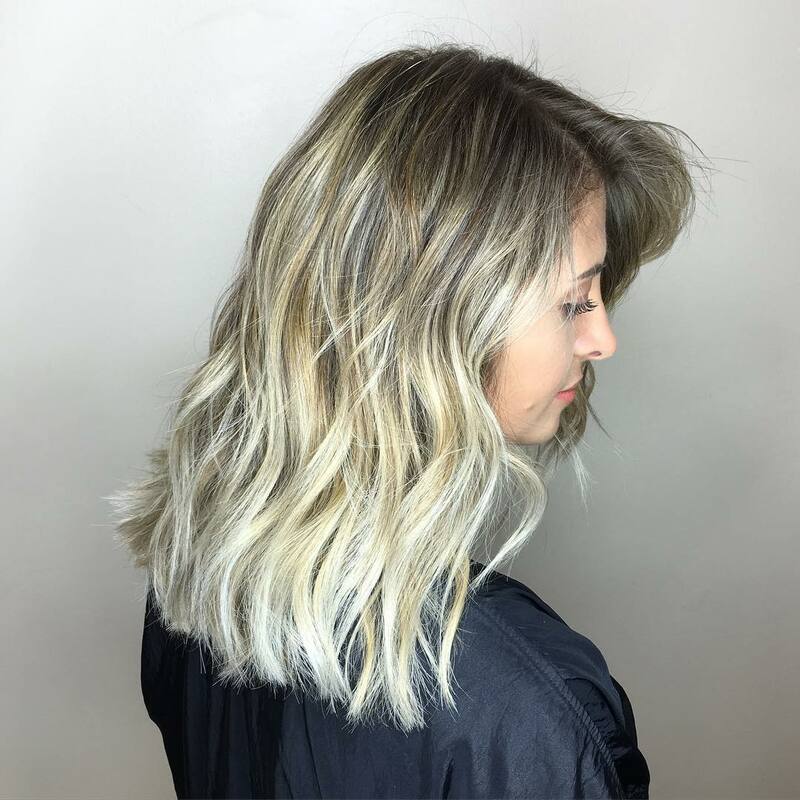 Balayage provides you endless options when it comes to coloring your hair, and it is what makes this hairstyle possible. This fabulous headdress entails hand painting icy blonde and golden brown streaks on some thick summer waves to make them look stunning. The waves also have a nice choppy cut and a cute face frame design. This hairdo starts with a light brown base that forms a perfect foundation for any color. To create this look, you should paint the light brown hair with an icy blonde hue to create a stylish ombre pattern and finish by sweeping the brushed out curls into a face frame. 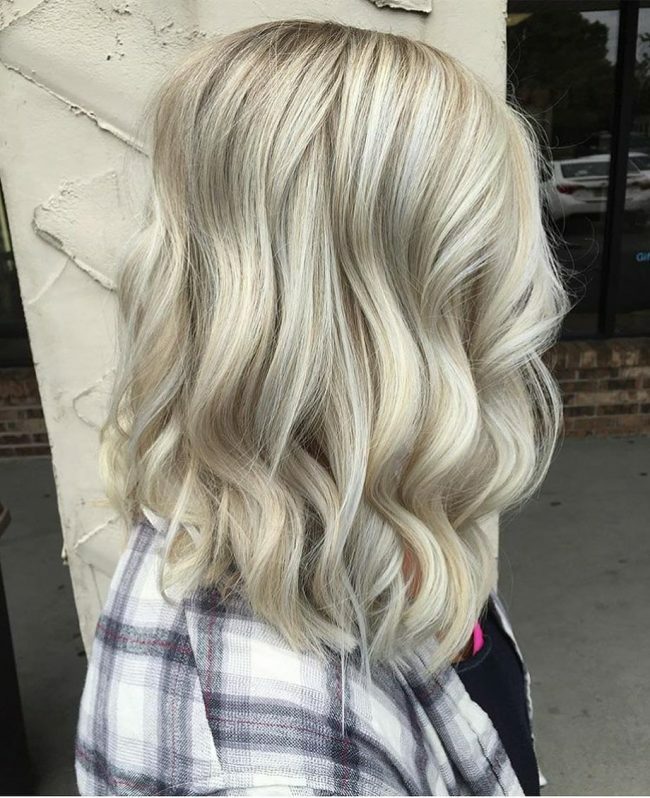 Although white blonde looks amazing, sometimes it can be too light for some ladies and so you have to blend it with another shade like in this design. Here the hue blends with brown to give the long blunt bob a very distinct tone. With such a lovely color you do not need to do any intricate styling because sweeping the hair to the side from a part line is enough. The creamy look in this design is breathtaking and with a fabulous tone like this, you will never have to worry about how your strands look. For this style, you should also make the shade lighter towards the ends so as to create a beautiful sombre pattern that will make the loose curls look stunning. Thick bangs like this may already look cute enough, but by giving them a beautiful color you can still take the appearance a notch higher. 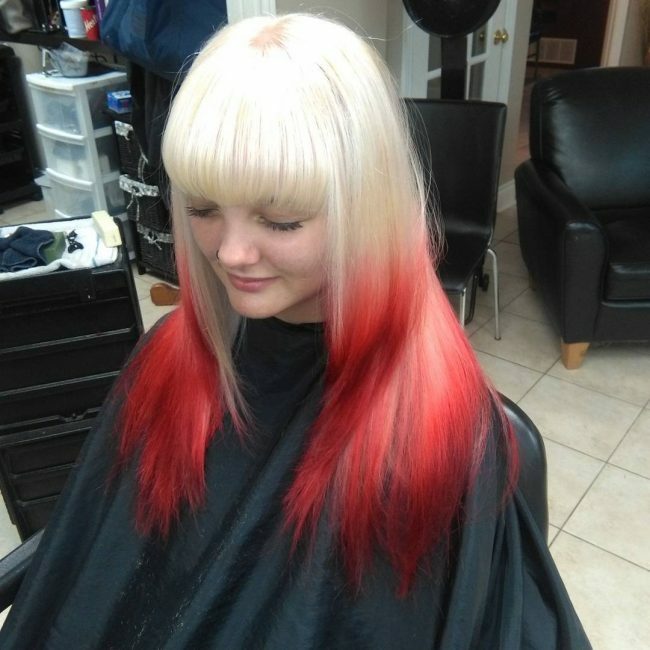 The bangs have a bleached out white blonde shade but so to spice up the look you need to hand-paint the bottom half of the locks with a dazzling ruby red shade. Your hairstylist's creativity is the only thing that can limit you when it comes to wearing white blonde hair. There are many designs that you can create, and so you should not just copy what others are having. In this style, for example, you will only need to introduce some light blue peek-a-boos to create a unique color design. However, the shoulder-grazing locks also have some lovely waves and texture. 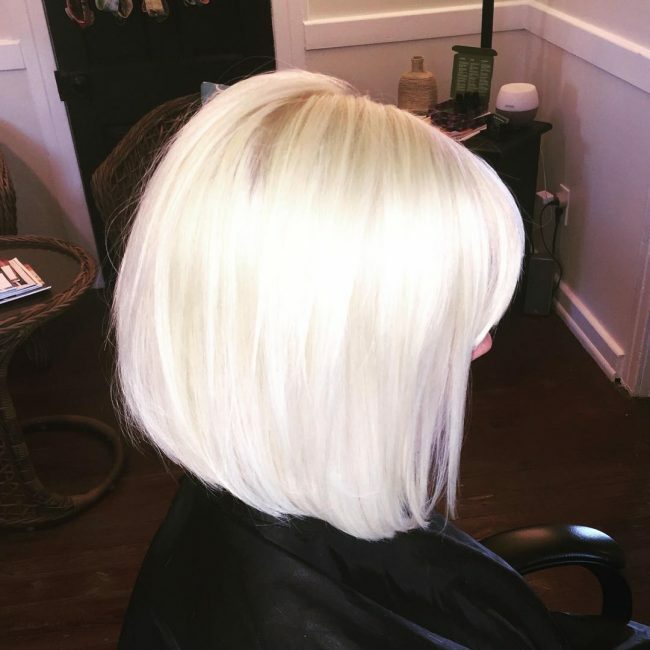 An angled bob with some nice bangs like this one will make any lady look beautiful but if it also has a lovely color she will look extra cute. This particular one has a glossy platinum blonde shade that not only makes the hair dazzle but also gives it some class. You can make the roots of this hairdo dark for some contrast or just have a uniform shade throughout depending on the look that you want to create. 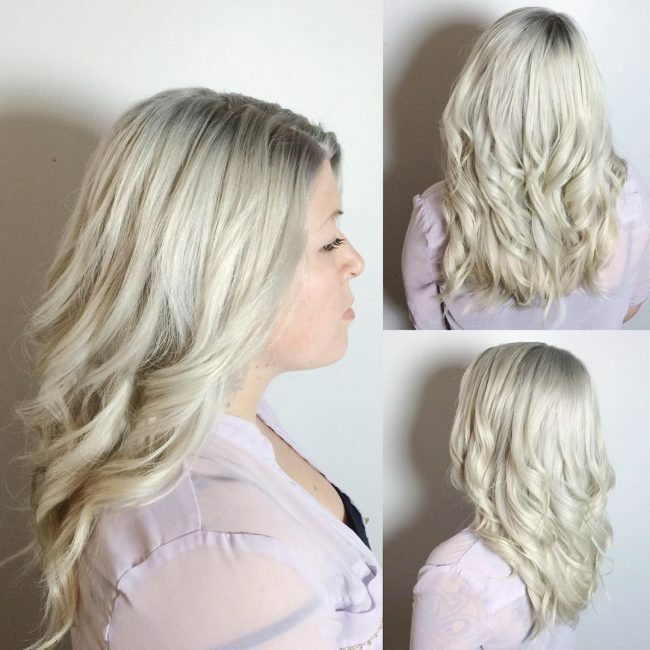 White blonde does not have to be throughout the head or be the dominant shade on your hairdo for it to look stunning. This style proves that the shade will still look good if you use it as partial highlights for your light brown locks. To create this look, you should hand-paint the shade on the front part and the ends of your wavy brown locks and finish by brushing them into a face frame design. 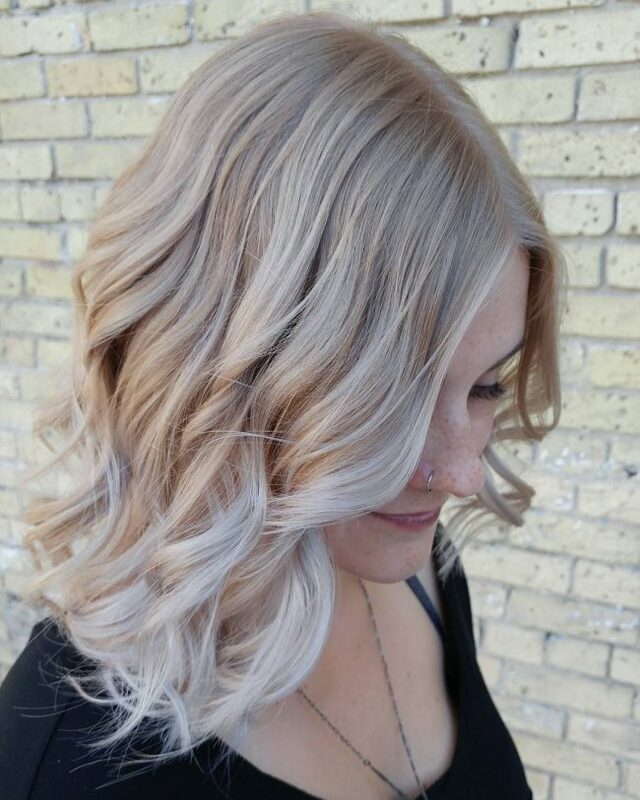 The cool tones in this design are just fantastic, and they show just how versatile blonde is. This fabulous hairdo entails doing a full balayage on the hair and shadowing the roots. You should also maintain a bright silver blonde shade on the lower half of the hair to create an adorable ombre contrast. The texture of the hair and the subtle waves are also amazing as they help to add some detail to the lovely colors. 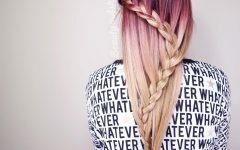 Here is another hairdo that proves that a little creativity is all that you need if you want the white blonde shade to work well for your hair. The design entails introducing a light brown shade to the blonde hue and some blue peek-a-boos to make the straight and smooth strands look very stylish. These long strands are quite thin, but the pearly white shade makes this fact hard to notice. 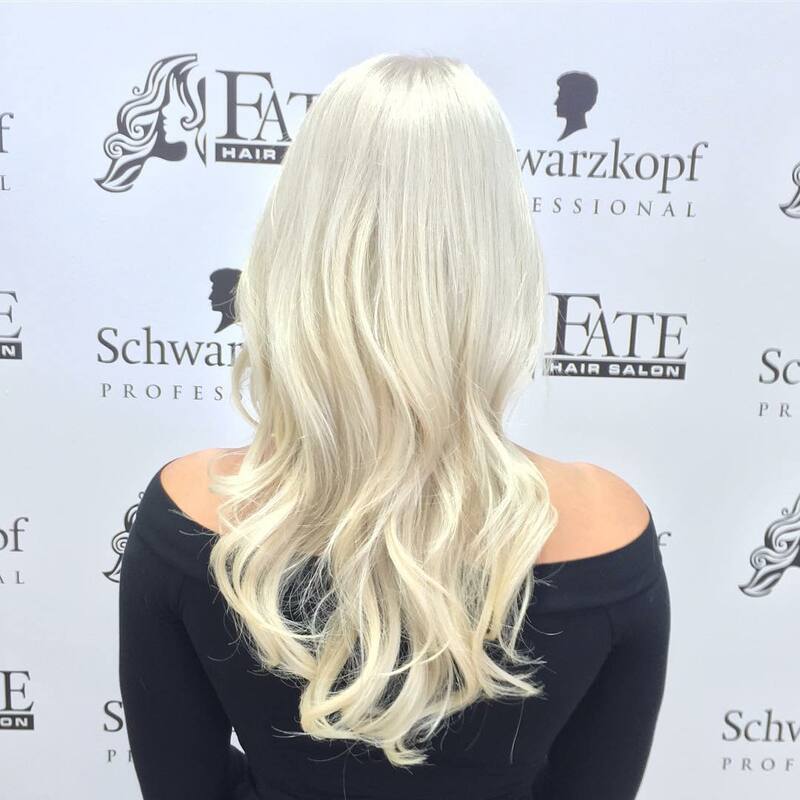 To create this fantastic look, you only need to bleach your long hair to produce a uniform tone throughout and style it by sweeping the locks to the sides. 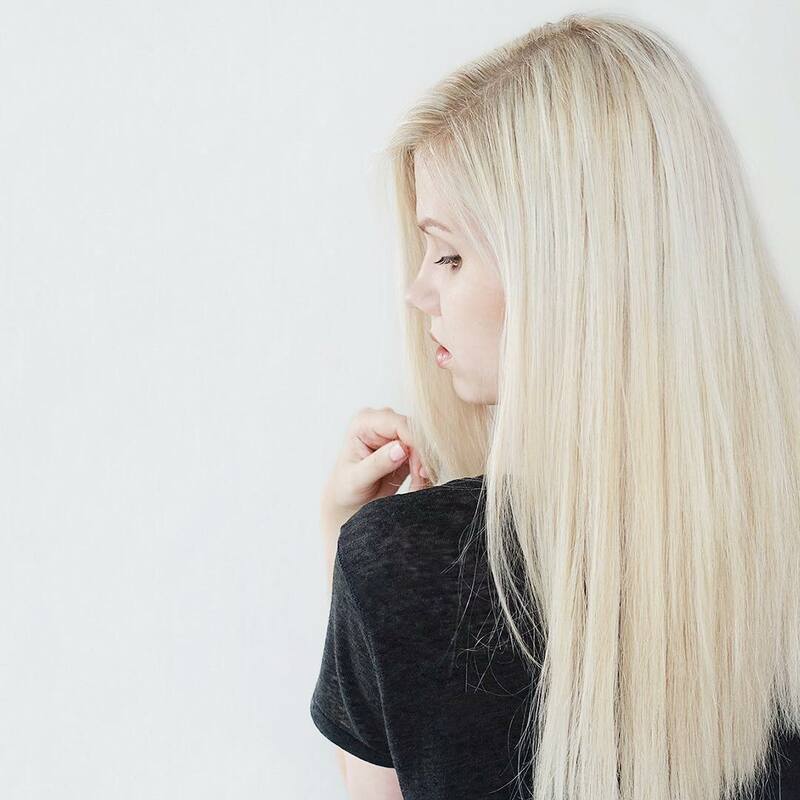 White blonde hair is beautiful and contrary to what some people may think there are still many ways to create it. Besides, you can combine it with other shades for a top notch appearance. This shade will also work for any woman regardless of her complexion. Look through the gallery above for some ideas on how you can wear this awe-inspiring shade.